Thread-head size is mostly a matter of style. Though simple in construction and function, thread heads are, to many tiers, a plague. ...and the result is a head that is neat, sound. 1. 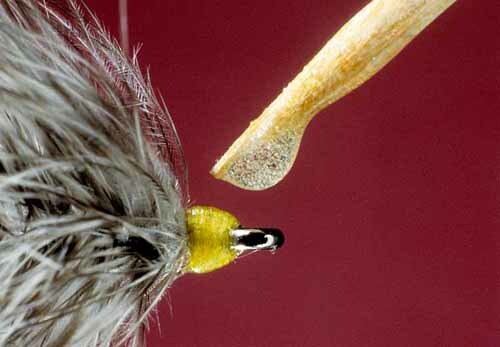 The first rule for easily creating good heads on flies is: leave space for the head on the hook's shank. 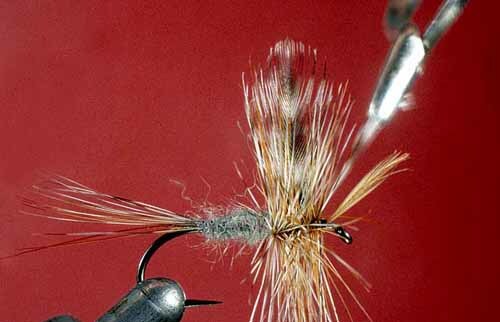 Many tiers run the fly right up to the hook's eye, and the head that results is sloppy and unsure. 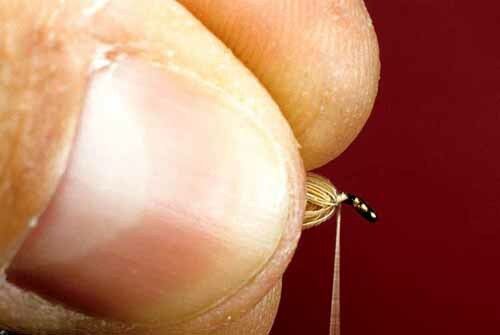 Note that on the fly shown here there is just a bit of bare shank behind the eye, as there should be. 2. The second rule is: spend the extra second or two required to closely trim the last materials, the ones near the hook's eye. Many tiers trim these materials quickly and roughly. Forming a head over the bulky mess that remains takes too much thread, too much time, and results in a head too sorry to show one's friends. Take the time to trim well, and you'll not need to hide your work. 3. 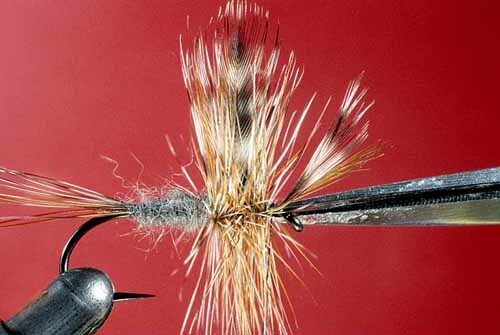 The third rule: draw everything back from the hook's eye, to allow clear access for creating the head. 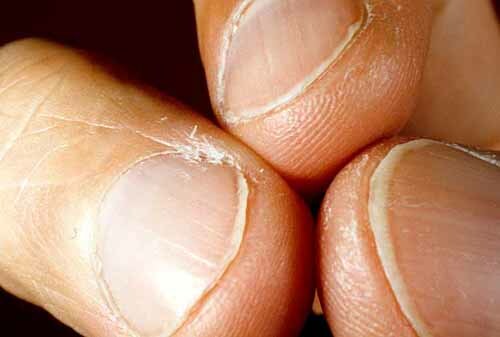 To do this, I use what I call the "triangle," a tiny triangular space formed within the tips of the thumb, first, and second fingers. 4. Slip the triangle over the hook's eye and back. Hold the thread taut as you let the triangle slip past it. Now all the materials should be held firmly back from the eye. With clear access for building the head—and plenty of shank to build it on— all should go well. 5. Add head cement to the head, just enough to saturate the thread and no more—excess head cement flows back into the materials, darkening them and freezing them rigid. I use epoxy glue(not epoxy finish), which I dot on with a bodkin (or a toothpick, as shown here, for larger heads), then spread into a thin layer over the head. Whatever you used, keep it out of the hook's eye, and run a fine feather through the eye after a few minutes as insurance. 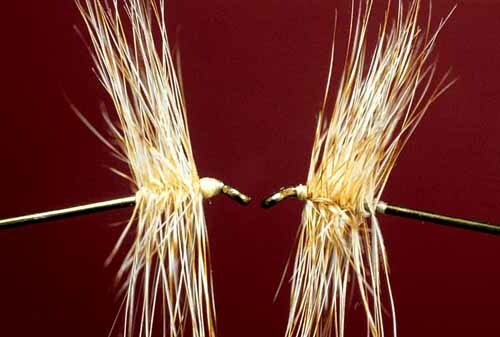 And now you know how to tie a neat and compact thread head.